Keaira Turner is a determined and inspiring young woman who has an interest in helping up and coming brands. Keaira graduated from the University of Alabama at Birmingham with a Bachelors in Communications Studies. She is currently pursuing her Masters degree at Webster University in Media Communication. In undergrad, Keaira was able to work at her university’s (UAB) in house PR team and learned about corporate branding and structure. 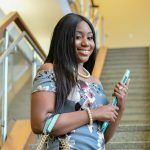 Under the tutelage of Milan Mobley (UManagement LLC) and the PR Alliance, she has worked with numerous clients within the entertainment industry. Keaira has secured various press opportunities and new branding ideas for clients. Keaira is ready to take the over the PR world and decided to begin her own business in 2018. Connect with Keaira on LinkedIn and Facebook.